Why choose WarmCore Aluminium Window & Doors? Aluminium with WarmCore technology in our doors and windows is a new option for the specifier and homeowners' With exceptional U=Values it's now possible to increase the amount of natural daylight entering the property whilst maintaining the overall U-Values of the windows and doors in the build. beating normal expectations of aluminium windows and doors. Traditional aluminium doors and windows can force you to choose aluminium aesthetics or thermal performance. 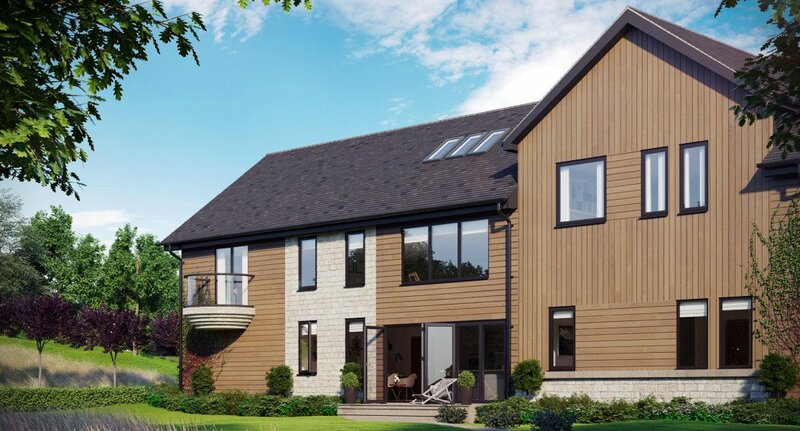 WarmCore gives you both, with its innovative full-width thermal core you can have the very best modern looking aluminium designs and an exceptional U-Value.. Manufactured in Bristol with a belief that beauty doesn’t have to compromise performance, The unique, full-width thermal core is key to why WarmCore aluminium windows are 25% more thermally efficient than traditional aluminium window systems. Strong and secure, WarmCore windows come with multi-point locking, internal beading and are backed by a 10-year product guarantee - helping keep you and your home safe. We manufacture aluminium windows as casement or tilt and turn windows, and with a flush sash option that brings the outer frame perfectly level with the opening part of the window - WarmCore windows are the quality option for your home. Please feel free to call us to discuss your aluminium window design needs and prices on 01179 719922 or call in and visit us. Can I triple glaze an aluminium window? 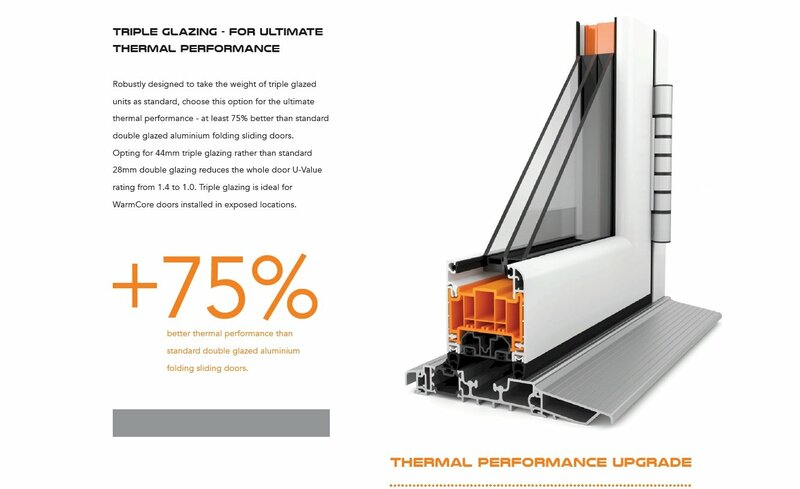 Yes if you are looking for the ultimate thermal performance in your windows and doors. Our aluminium windows are robustly designed to take the weight of triple glazed units as standard, choose this option for the ultimate thermal performance at 75% better than standard double glazed aluminium windows. Opting for 44mm triple glazing rather than standard 28mm double glazing reduces the whole window U-Value rating from 1.3 to 0.8. Triple glazing is ideal for WarmCore windows installed in exposed locations and can help to reduce noise. From the design of the unique thermal core and the outer faces of the profile which are high-grade aluminium, positioned to add the greatest structural rigidity, to the 60-80 micron thick (exceeding marine grade) powder coat finish, Warmcore has been designed to stand the test of time. All fixings used are chosen to resist corrosion - and multi-point locks and purpose designed hinges have been precision engineered to perform consistently every single time, year on year. Do you deliver windows to on-site? Manufactured windows deliveries. All our manufactured glass products are delivered on our own transport. We deliver most products nationwide with daily deliveries to the London area. Aluminium Window Prices? Select double or triple glazing from the options below.